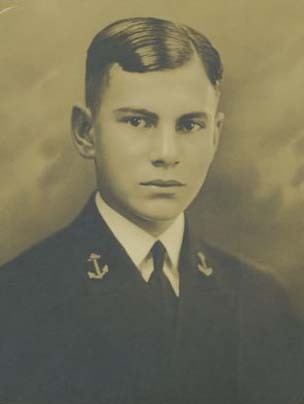 Richard attended Waterford schools and graduated from the high school in 1926, at the age of 16. That year, he took a competitive exam in the State of Ohio and won a Congressional appointment to the U.S. Naval Academy. 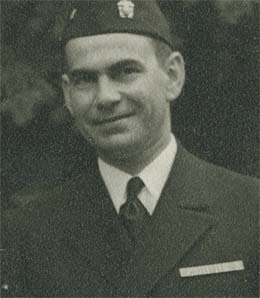 After graduating from the Academy in 1930, he served in the U.S. Navy for the next 30 years. He retired as a Captain. A Navy Lieutenant, he was on shore patrol on December 7, 1941, when Japanese planes bombed Pearl Harbor in Hawaii. His ship, the USS West Virginia, was sunk. His ceremonial Navy sword went down with the ship along with most of his other possessions. Later, his slightly mangled sword was recovered and returned to him. His name was engraved on the blade. His interest in the military was inspired by the fact that an ancestor, John Nixon, had served in the Revolutionary War, his grandfather and two great uncles has served on the Union side in the Civil War, and his father, Milton, had volunteered to serve in the Philippines during the Spanish-American War. 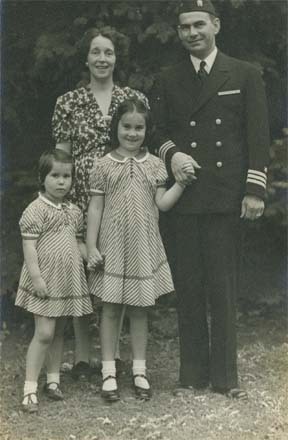 Richard was the first in the family to become an officer. Subsequently, he and several of his nephews served in World War II and the Korean War. Read Lt. Nixon's account of his Pearl Harbor experience here. The left picture is R. M. Nixon's Annapolis graduation photo. The right picture is a family photo. Following the Pearl Harbor attack, Lt. Nixon sent two letters home to his wife, Mary. The text of those letters is below. Business is rushing but I am OK without a scratch. You might let folks know by telegraph if you think they would be worried about me. All the officers’ wives out here are safe and sound as are all the officers you know on the ship. Things will probably be tough for a while. It might be best for you to move inland from the coast away from defense areas. If you should make a move, let Mrs. Huler, Helen Eddy’s mother, know where I can locate you and let the folks know I am mailing all letters with the folks’ address as return address so, if you miss them, you will get them. Your allotment will continue. Will you take over payment of FHA and Montgomery Ward, water bill and dentist? I will try not to spend any of the $200. Just received your letter today and I know what a dreadful strain you must be under. Please try and be brave, my dear, and don’t pay any attention to rumors. In case my last letter didn’t get through I haven’t been as much as scratched. Please let the folks know if you haven’t already. Business is still rushing and we are getting squared around nicely. I am afraid you’ll have to do my Christmas shopping however. You might entertain the possibility of taking the youngsters home for Christmas and settling in Marietta for the duration but do whatever you feel is best. I think some of you wives should get together and move back inland where it will be much safer in case the Japs should get a raider through to the coast.